After a massive search, the U.S. and Peruvian governments have located a California couple feared missing and possibly kidnapped in Peru. 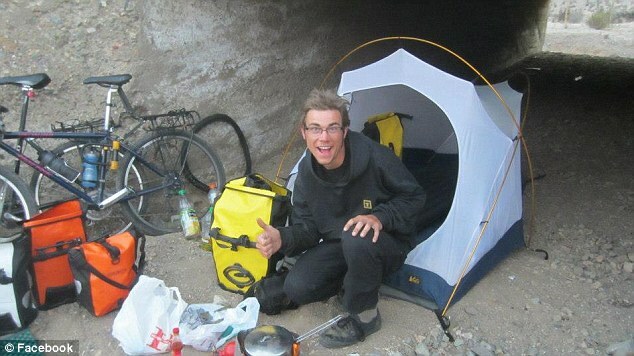 Garrett Hand, 25, and Jamie Neal, 27, both of Oakland, had not been heard from since January 25, when they were known to be cycling from Cuzco to Lima. Their families became concerned when Hand stopped posting updates to his Facebook page and the couple could no longer be reached by cell phone. A Facebook campaign was launched by the families, circulating flyers with Hand and Neal’s names, faces, and information, pleading for any information regarding their whereabouts. Peru’s tourism ministry, eager to quash any misgivings foreigners may have regarding safe travel in the country, dispatched two emissaries to track down the couple. Hand and Neal were eventually found relaxing on a boat, traveling idly down the Navos River toward Ecuador. Hand, oblivious to his family's efforts and those of two different governments, reportedly said that they were fine and everything was “fantastic.” According to Reuters, Neal breazily signed on to her Facebook account to say that she was also fine and was "going to go play with the pet monkey we named Pepe ... he was just biting my toes." And that’s why you always leave a note.